Mercury is a major component of dental amalgam, which is the silver filling material used after decay has been removed from a tooth. Exposure to mercury and mercury vapor has been recognized as a potential health hazard to oral health professionals for many years. Because mercury is a liquid at room temperature, it is able to form alloys with other metals without the need for heating the components. It is also easily vaporized at room temperature. Exposure can occur either through direct skin contact with mercury or mercury-containing compounds or through the inhalation of mercury vapor, the primary route of exposure. Approximately 80 percent of inhaled mercury is absorbed through the lungs. 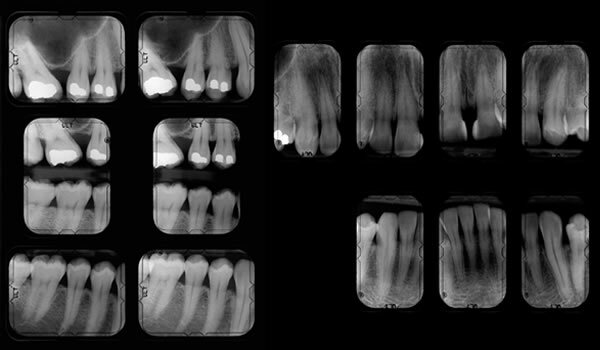 Sources of mercury contamination in the dental environment include expression of excess mercury from amalgam, leakage from dispensers, improper storage of scrap amalgam, leakage from amalgam capsules during trituration (mixing), mercury vaporization from contaminated instruments placed in sterilizers, grinding of amalgam during removal of restorations, and amalgam condensation with ultrasonic condensers (packing down the amalgam). Mercury spills and the subsequent accumulation of mercury in carpeting or cracks in the flooring material seem to be the major source of mercury contamination in dental clinics. Mercury contamination of waste water poses environmental concerns. EPA has promulgated pretreatment standards to reduce discharges of mercury from dental clinics into publicly owned treatment works. The dental office category regulation is codified at 40 CFR Part 441. Other dental clinic equipment can be indirect sources of mercury contamination. These include amalgamators, sterilizers, cabinets and countertops, cuspidors, drains, filters in heating and cooling systems, waste containers, capsule storage areas, and drapes. Threshold limit value (allowable exposure level to mercury vapor, 8 hours per day, 40 hours per week) = 0.025 milligrams/cubic meter (25 micrograms/cubic meter). Note: This was changed from 0.05 mg/m3 in 1994. Normal mercury level in urine = 0 to 20 micrograms/liter (one microgram equals one-millionth of a gram). Allowable maximum limit in urine = 150 micrograms/liter.